Retail businesses around the world love Christmas. Many brands choose to pull off an online campaign dedicated to the festive season, seeing this as a huge marketing opportunity to make noise and drive sales. This article will explore how an all-round professional production can help your business take advantage of seasonality. 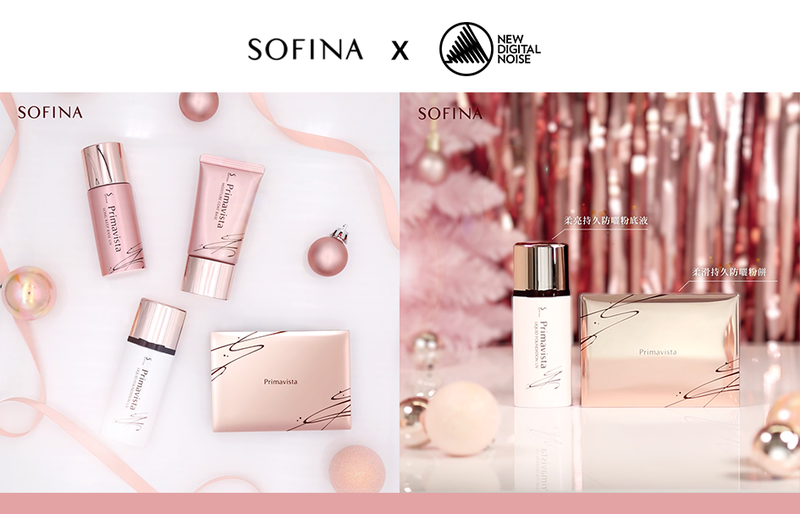 This Christmas, New Digital Noise has launched a campaign for SOFINA, a beauty brand hailing from Japan, covering creative social media content, graphic design and real-time video shooting, accompanied by added-value ad-placement. To create warm Christmas vibes, we took real-time shots and videos with incredible attention-to-detail in framing, lighting, product placement, etc. At the preparation stage, we reached a precise, thorough understanding of our client’s preferences, supported by a variety of visual references from our own portfolio and similar brands. Seasonal periods are hotly competitive, so ad placement is essential in getting your campaign in front of the right audience at the right time, complemented by the appropriate ad-targeting strategies. In this campaign, we took season-specific elements, as well as past trends and performances into consideration when determining the target audience, types of ads and the best time to launch the campaign. An organised work schedule is absolutely critical for a campaign with a bounded time frame. All the execution phases are planned in detail beforehand to ensure timely delivery of work and feedback from clients. The process went on until the launch, with both parties committed to a close work relationship to achieve efficiency and effective communication. Gear up for the next opportunity early enough to beat your competitors. Any feedback or questions in mind? Drop us a line at info@ndn.com.hk and our team will reply as soon as possible.